Image displayed is of a medium sized bouquet option. 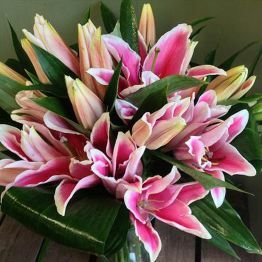 A beautiful highly perfumed bouquet of pink stargazer lilies and modern foliage. This hamper will earn you 94 Hamper Points.